Wishing you all a fantastic Easter break. I have in this month’s newsletter all workshops and events locally and around. Kicking off with Scribble and Smudge workshop at Creative Kids, Red is for revolution. April 11th choice of either 10 til 11.30 am or 1 til 2.30 pm session. 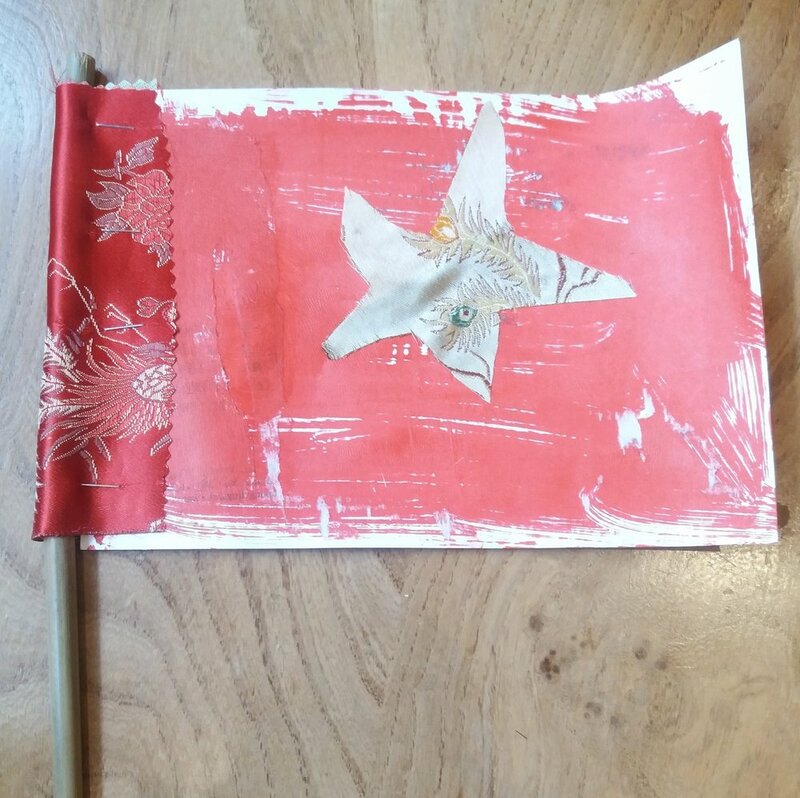 Creating our own flags and decorating them taking influences from the ‘Cultural Revolution’ exhibition. Fun to be had with song, games and craft. Oh! and a little snack thrown in! see events above for details. in Walthamstow include: #Atomic50 for families, Easter egg hunt in the Walthamstow wetlands and (free ) local libraries, #E17Designers by local makers easter treats, family theatre @centre17 and ( free) Easter craft at The Vestry House Museum.